Q Radio have partnered with The Clinic, Lisburn Road, Belfast to celebrate Mother's Day. The Clinic offers a full range of non-surgical cosmetic treatments. These include: Botox, Dermal Fillers, Skin Peels, Cheek Enhancements, Lip Augmentation and lots more. The team pride themselves on taking the time to assess factors such as the condition of your skin and what areas you wish to improve, allowing them to provide treatment packages that are individually tailored to your needs. For more information on treatments, visit here. For this exclusive competition, we are giving you the chance to win a £200 voucher for The Clinic. To enter, log on to the Q Radio official Facebook page and comment underneath the competition post using the hashtag #TheClinicLisburnRoad. The team are available to discuss your individual needs and concerns prior to undergoing treatment. They will take time to listen to your requests and evaluate which treatment(s) would best fulfil your requirements. All consultations take place in The Clinic under confidential conditions and staff provide complete discretion for all clients and procedures. 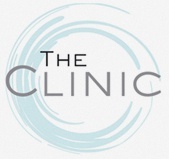 Get in touch today on 02890 663063 or email the team info@thecliniclisburnroad.co.uk.